This Elvis Presley biography Tickle Me √ Starring Elvis Presley page is dedicated to providing quality Elvis Presley biography information, pictures and articles for your entertainment. 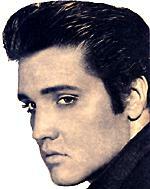 The contents of this Elvis Presley site is written by a fan for his fans about Tickle Me √ Starring Elvis Presley. Tickle Me is a 1965 western comedy-musical starring Elvis Presley. Elvis plays a buckeroo at a dude ranch in Tickle Me, which co-starred Jocelyn Lane, Jack Mullaney and Julie Adams. Elvis tickles the ladies fancies. The soundtrack of Tickle Me is often cited as evidence of how Presley's films became assembly-line, low-budget affairs by the mid-1960s. The budget for the film did not allow for the commissioning of original songs, so instead the soundtrack was created from previously released non-film recordings, some dating back to 1960, and including songs with guitar work by Hank Garland whose career had ended in 1961 following an automobile accident. To coincide with the movie's debut, an EP Record was brought out containing five of the nine songs from the soundtrack. (In Europe, a full album was released). This is one of only a few Elvis films that does not have a title track. The Elvis Presley contents are solely the opinion of the author and should not be considered as a historical fact or authority on the facts. 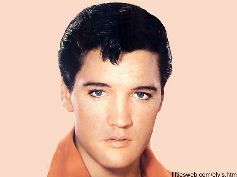 The author and the Publisher of Elvis Presley assume no responsibility or liability and specifically disclaim any warranty, express or implied for any products or services mentioned, or any techniques or practices described. The purchaser or reader of this publication assumes responsibility for the use of these Elvis Presley materials and articles and information. Neither the author nor the Publisher assumes any responsibility or liability whatsoever on the behalf of any purchaser or reader of these materials. Description of Elvis Presley site contents: This site contains information, history on Elvis Presley life story, Elvis Presley pictures and photos, Elvis Presley song lyrics, Elvis Presley movie resources, free e-books and articles listed for your convenient search in subjects of: Elvis Presley pictures and photos, Elvis Presley song lyrics, Elvis Presley movie resources, Elvis Presley childhood, Elvis Presley Band members , Elvis Presley girlfriends, Elvis Presley spiritual medium stories, Elvis Presley Memphis mafia stories, Elvis Presley diary quotes, Elvis Presley movie and music details in relation to the Elvis Presley autobiography and interviews of friends and family members for the website written by a fan for his fans.